Low-VOC system. It uses a 2 component epoxy primer as an adhesion promoter and a high solid silicone roof coating. A breathable membrane that is also NSF Protocol 151 compliant. 1. This document outlines the installation process of EPDM roof coatings on metal roofs. Actual installation requirements may vary and it is the installer's or specifier's responsibility to determine actual project requirements. 2. This specification may not outline all procedures for preparation and finishing of penetrations, drains, flashings, etc. This work should be outlined separately by the contractor before the work commences and shall be performed observing good trade practices. 3. All technical data and safety data sheets for each product used are considered part of these specifications. 1. Project must be pre-approved by manufaturer to be eligible for any warranty. 2. Installer must be approved by manufaturer and have experience on projects of similar scope and complexity. 3. Obtain written approval from manufaturer for any deviation in this specification. 1. 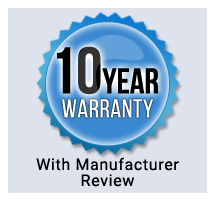 Manufacturer's Warranty: Manufacturer warrants that the supplied material meets or exceeds our published specifications. Manufacturer's standard material warranty document is only issued on pre-approved projects. 2. Comply with manufacturer's warranty application procedures. A Pre-Job Qualification Form should be submitted and approved prior to job commencement. 3. Installer's Warranty: All labor warranties should be provided by installer unless additional warranty coverage is requested, approved and purchased for the project. 4. Warranty Period: 5, 10 and 15 years. 1. Roof accessories, flashing, seam tapes and similar materials shall be approved by the roof system manufacturer. All materials used shall be applied in accordance with its manufacturer's recommendations. 1. Delivery: Materials should arrive at the site in manufacturer's original, unopened, undamaged containers with identification labels intact. 2. Storage: Store all materials at temperatures between 55°F - 90°F (12.7°C - 32.2°C) with careful handling to prevent damage. Do not store at high temperatures in direct sunlight. Protect from exposure to harmful environmental conditions. 3. Protection: Protect all materials from freezing and other damage during transit, handling, storage and installation. 1. Read product data sheets for recommended application equipment or consult the equipment manufacturer directly. 1. Substrate should be structurally sound. 2. Product coverage rates may vary due to application method, surface texture, substrate absorption, wind conditions while spraying and/or other variables. 3. A moisture survey or other assessments may be needed to determine the presence of wet insulation under existing roofing material. 1. Reflectivity of coatings may be reduced if roof surface is not cleaned regularly. 2. Follow our care and maintenance guidelines. 1. Roof coatings are not traffic grade. Areas surrounding roof top equipment may be reinforced by embedding SeamStitch Polyester Roofing Fabric and applying a thicker membrane (40 - 50 mils). Walk pads should be used if frequent maintenance traffic is expected. 2. Control overspray especially during windy conditions. Surfaces not to be coated shall be protected during the application of the system. If protection is not feasible, surfaces shall be restored to their proper condition by cleaning, repairing or replacing. 3. All parking areas adjacent to (within 75 feet ) the work area are to be cleared and roped off. 4. Protect work from damage due to subsequent construction activity on the site.